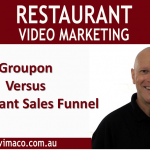 Publishing your marketing video online is like throwing a dinner party and inviting everyone to come along. You’ve made all the effort organising the food, drinks, and the entertainment, and everyone seems to be having a great time. But once the lights go out, what are you left with… a lot of mess to clean up. 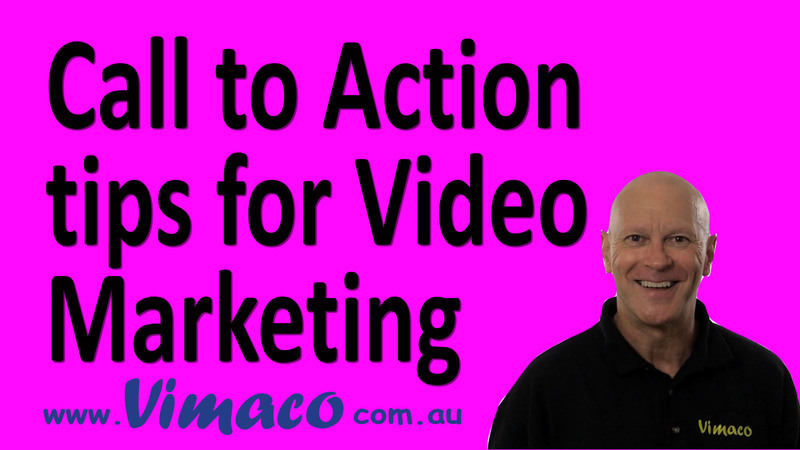 Unless of course you’ve used effective Call to Actions which I ‘ll with share with you some ideas in this video including how to get those viewers who never click on anything you ask them to. If we look back at our dinner party, it makes sense that while the guests in your venue, that you would let them know about your other events. It’s the same with your audience that are watching your video, let them know about your other videos and the best way to do that is by using End Cards at the end of your video so that they can continue on watching your content instead of someone else’s. This is the “know, like and trust” foundation you want to establish with potential customers. If you were the host of your dinner party, you would probably go around and introduce yourself and engage in conversation, get their feedback and ask them to join your community. An effective way to get comments is to ask a question or like your video, share it with their friends and colleagues. These are all simple actions that can help “continuity” and viewers that leave comments are more likely to return to your video so it is vitally important to respond to each comment. And that we also increase the likely hood of others joining in on the conversation. Subscribing to your channel is one of the greatest compliments anyone can give you even though it simple to do and free, what they are saying is that they like your content and want more. Having a Subscribe button tucked away on the screen isn’t going to do the trick. You need to interrupt your audience – in the nicest possible way of course. The email list is one of the most important assert for any business. This is a logical step once you have built relationship based on trust. It allows you to connect directly with your target audience on a one to one basis. One of the most effective way to have someone optin to your mailing list is to offer a free gift such as an ebook. Some marketers offer one generic gift at the end of all their videos but you’ll get much better results by offering a specific gift that is directly related to each video. For example a PDF with more detailed information about the topic of your video. Shifting viewers away from YouTube to your website can be a great challenge, unless you have built that strong relationship. The important thing is that the pitch for your call to action should benefit the viewer not you. At stage of the funnel, your viewer is interested in your products or services and its time to make them an offer they can’t refuse. Send them to a free webinar or a landing page where they won’t be distracted from your offer. Ok. You may have noticed a graphic asking you not to click until the end of the video. That’s for viewers who don’t like clicking on anything you ask them to but they will click on that. Reverse psychology. I’ll let you know in the comments below how many people have actually clicked on it. I hope you’ve enjoyed our look at CTAs and you how you can use them in your videos. Of course it would be silly if I didn’t have any CTAs for my video on CTAs. So please share this with people who may get something out of it.